It was a great place to stay! The location was convenient to get around Tunis (i.e., Medina, public transport, restaurants). The room was comfortable for the three of us. The hot water was HOT. The host was very friendly and welcoming. We’d stay here again and again when visiting Tunisia! Really nice house, and also the owner was so nice and helpful. 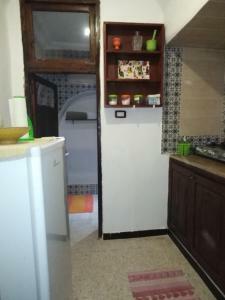 Great hospitality and central apartment in the middle of Medina. Returning on my next trip to Tunis! It was traditional house and in the middle of Medina. This is a great place! The house is traditionally furnished and is very cozy. It's just minutes away from all major sights in the center of Tunis. The staff is friendly and helpful. Highly recommended! The house is tradiotional Tunisian house. The location is in the middle of the old town. The host was super friendly and he gave us a lot of tips and information about Tunis. Good value for money. You have to walk to reach there. no access by car. Payment in cash only with euro or dinar. Super location middle in the medina . Very, very, very friendly hosts. Lock in a great price for Dar kenza – rated 8.2 by recent guests! 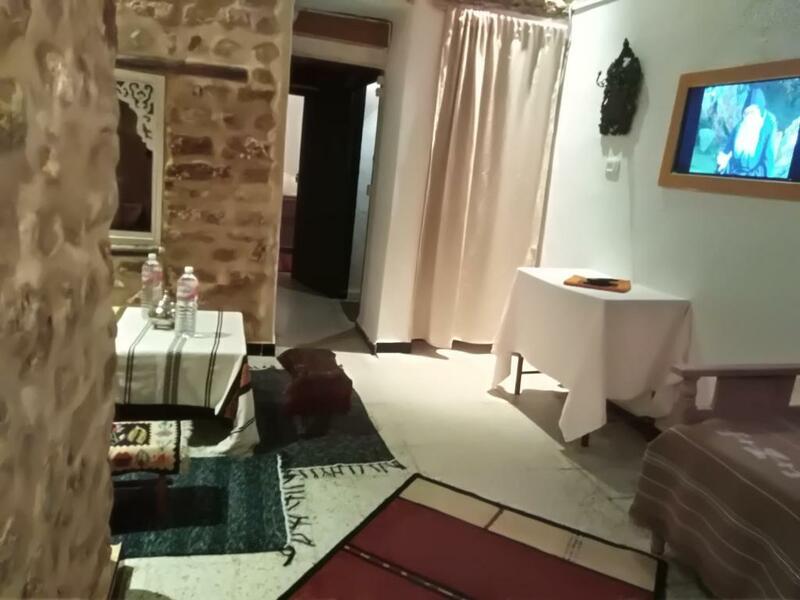 Located in Tunis, a few steps from Tourbet El Bey, Dar kenza provides free WiFi. Each unit comes with air-conditioned bedrooms and a kitchen with a stovetop. Some units feature a dining area and/or a patio. The daily breakfast offers continental, buffet or vegan options. Dar Hussein Palace is a 4-minute walk from Dar kenza. Carthage Airport is 7 miles from the property. 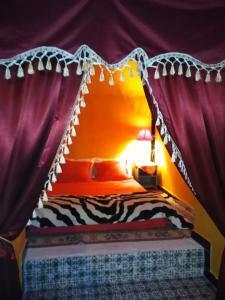 When would you like to stay at Dar kenza? Area Info – This neighborhood is a great choice for travelers interested in markets, history and old-town exploration – Check location Great location - show map Guests loved walking around the neighborhood! House Rules Dar kenza takes special requests – add in the next step! Please inform Dar kenza of your expected arrival time in advance. You can use the Special Requests box when booking, or contact the property directly using the contact details in your confirmation. Some lights were not working and the hot water is working with interruptions. It was difficult to find staff and they didn't speak English as well, there was no reception. the house furniture a little bit old and the carpets looks like too dirty. Cars can't access and reach the house, you have to carry your luggage from the nearest parking -which is not easy to find- and go walking for around 300m or so. The appartement was clean but spend more care to the carpets. A bit noisy but thats kinda normal in the middle of this area. The internet connection was a bit wonky but definitely didn’t take away from our stay! Internet connection was poor, payment in cash only (host accepted Euros). It was a good experience. The place is very hard to find, but our taxi driver called the host and the host met us outside the Medina. If you want something different and to have an idea how is the live inside the Medina, in a typical place, this is a good choice. The host was very friendly and was always open to give us some tips about what to do and where to go. The apartment is inside the old town (souk) which makes it harder to get there with luggage, but the owner helped us to get there easily. It is very difficult to find the apartment: when you are nereby don't try to find it yourself. It will takes you too much time. Call the owner and ask him to reach you. The location right in the heart of Medina which makes it ok during the day but not after 6,00 p.m.: after that time the souk is desert and a little bit dangerous - in my opinion - to stay there. Floor and bed sheets of the second room were very dirty. The owner is very kind and very helpfull. He also arranged a lunch for us and made us tea. Lovely to stay in the center of the souk. Very cool and comfortable. Hosts were helpful.